In keeping with the standards set forth by the ABS Directors an Advisory Board has been established to help guide the American Bigfoot Society with the latest in technology and scientific standards. The Advisory Board is meant to send a clear message to all concerned that the ABS is pursuing its mission statement by consulting and requesting feedback on any questions, concerns, goals, guidelines, objectives, protocols, articles, and/or papers that are part of the American Bigfoot Society. This assures the public, and members that the policies and procedures of the American Bigfoot Society are the best that can be offered at the present time. Bill Munns brings two specialized professional areas of expertise to the analysis of sightings and incidents. With any sighting, there must be an analysis of the propensity of humans to fabricate a false incident, and thus a man with vast experience in fabrications for fictional purposes is a valuable resource for an investigation. 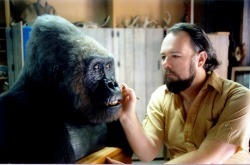 Bill Munns has made masks, creature costumes, ape suits, and molded and cast anatomical objects resembling bodies, hands, feet, and the like for a career spanning four decades, in Hollywood. Bill Munns brings to any investigation a critical eye for analyzing incidents and evidence where there may be questions of some fabricated hoax, as well as appraising any visual or photographic evidence for it's potential to provide useful analytical data for distinguishing something real from something fabricated. 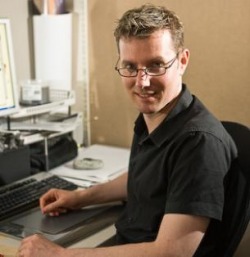 Additionally, Bill brings 12 years of professional work in 3D computer graphics visualizations, including archaeological visualizations and reconstructions, to advise and appraise on the potential for 3D visualization processes and technologies to be applied to an analysis. He will advise and consult on the potential for any such technology to further aid in an investigative effort, and may contribute investigative advice for those doing field investigations, on how they may record or document their investigations in a manner to facilitate later digital visualization analysis. Jimmy Chilcutt retired from the Conroe Police Department after 18 years as a latent fingerprint examiner and crime scene investigator. He has over 26 years active duty as a police officer and holds a Master Police Officer Certification from the State of Texas. Jimmy Chilcutt - Forensic Expert Witness After graduating from Jackson High School in Lubbock, Texas Chilcutt entered the U.S. Army as a Pvt. E-1 and left the service after 9 years, attaining the rank of Chief Warrant Officer W-2. He had tours of duty in Korea and Vietnam. Mr. Chilcutt has over one thousand classroom hours of instruction in forensic subjects including basic identification at D.P.S. Austin, advanced latent fingerprint comparison F.B.I. University of Houston, advanced latent palm print comparison Mississippi State Crime Lab, advanced crime scene investigation, and many other forensic related subjects. He has testified as a fingerprint expert on County, District and Federal courts in several counties in Texas and North Carolina. 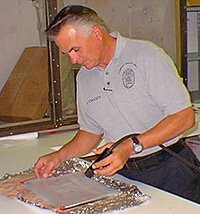 In the Crime lab he has developed unique procedures in developing latent fingerprints that have drawn hundreds of requests from Federal, State, and County agencies to process their evidence. These agencies include FBI, DEA, U.S. Customs Service, U.S. Secret Service, U.S. Postal Service, DPS Narcotic Units throughout Texas, and various County Sheriff Departments. Awards received for his outstanding service in forensics include, three City of Conroe outstanding officer awards, one meritorious service award, three county wide officer of the year awards, the 100 Club officer of the year award, and the coveted Directors Award from the director of the Texas Department of Public Safety. Mr. Chilcutt has often been a guest lecturer at Sam Houston State University, Idaho State University, North Harris County College, and for the Conroe High School Criminal Justice Program. He also teaches the State of Texas Intermediate Crime Scene Investigation Core Course at the FBI/Conroe P.D. training facility. Daniel Falconer is a New Zealand based designer and writer working in the special effects industry. Daniel has both a degree in design and also studied zoology at university. The American Bigfoot Society is thrilled to have Daniel Falconer not only as the Official Artist of the organization to work directly with witnesses creating life like graphic reconstructions as a Full Member, but he also sits on our Board of Advisors. Monica Rawlins (born January 3, 1973 in Santa Rosa, California) is a researcher in the field of Bigfoot research and an former member of the Texas Bigfoot Research Conservancy (TBRC) where she sat on the board of Directors. A student of the paranormal for most of her life, Monica has a vast knowledge of Bigfoot, cryptids and all things paranormal. While growing up in California, Monica vacationed with her family in a rural portion of Douglass County, Oregon. Looking back on the summers spent in the forests and valleys, she can recall many instances when she may have been close to what is called "Bigfoot". It was after one such encounter, where she heard a tremendous roar from the creek bed ¼ mile from where she stood, that her interests took a decided turn toward Bigfoot. In 2002 Monica joined the Texas Bigfoot Research Center (TBRC), a group of people committed to researching Bigfoot in the states of Texas, Louisiana, Arkansas and Oklahoma. She began her tenure as a Regional Leader for the Eastern portions of the state of Texas and, thanks to her research, quick wit, and sharp tongue, quickly rose to sit on the Board of Directors. 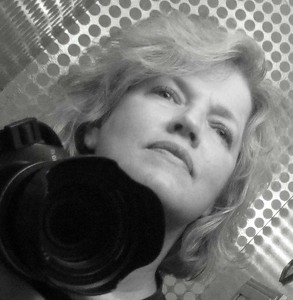 In 2007 Monica, along with 6 other Directors, dissolved the Texas Bigfoot Research Center and formed the nonprofit organization Texas Bigfoot Research Conservancy. With this new organization Monica sat on the Board of Directors as Parliamentarian / Sgt. at Arms, Training Director and Public Relations Director, until 2010. As the Training Director it was Monica’s responsibility to conduct “training sessions” twice a year for all probationary members. During these courses, the trainees learn such skills as wilderness survival, casting techniques, orienteering and basic first aide. 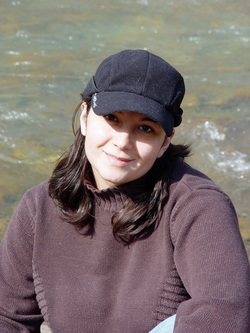 Monica’s role as the Director of Public Relations was to mainstream all marketing, advertising for conferences and media inquires for the group. Aside from the roles listed above, Monica also organized and executed research expeditions and general weekend outings for all investigators within the Texas Bigfoot Research Conservancy (TBRC) to areas outside of the normal research areas. In past years she has guided her group to Skookum Meadows, site of the infamous “Skookum Cast” and most recently to the wilderness area of the South San Juan mountains, the reputed home of the “Ghost Grizzly”. Raised on the Monterey Peninsula of California's central coast, I'm an artist who has a passion for wildlife portraits and impressionist landscapes, First Nation style form line painting and photography.